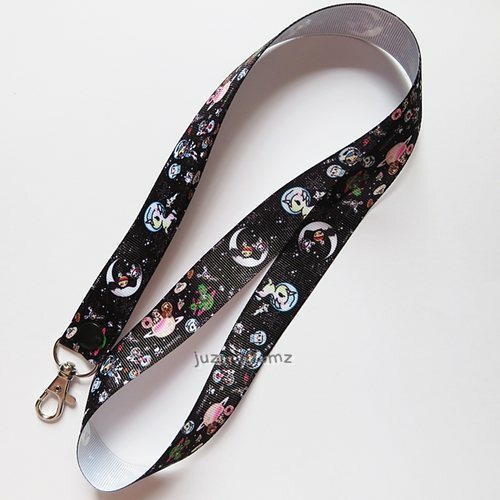 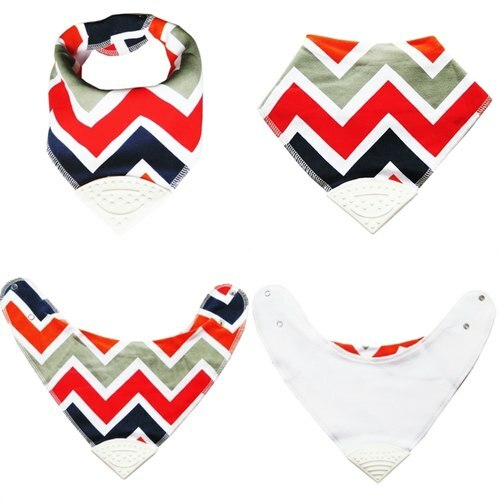 Length is 36cm * 32cm Material: 100% pure cotton with lining made of absorbent polyester fleece. 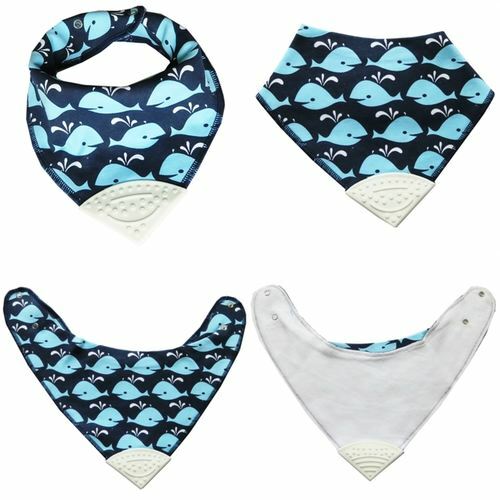 It perfectly absorbs drool and liquid food. 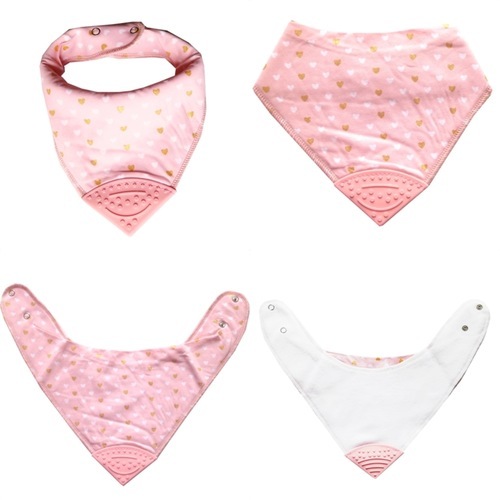 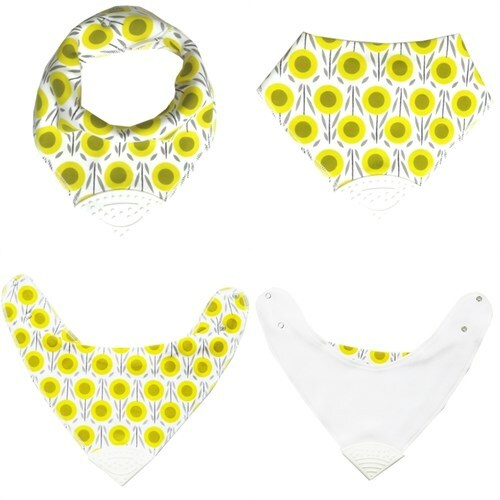 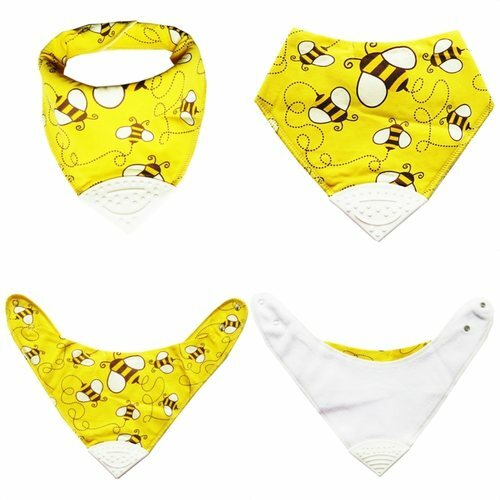 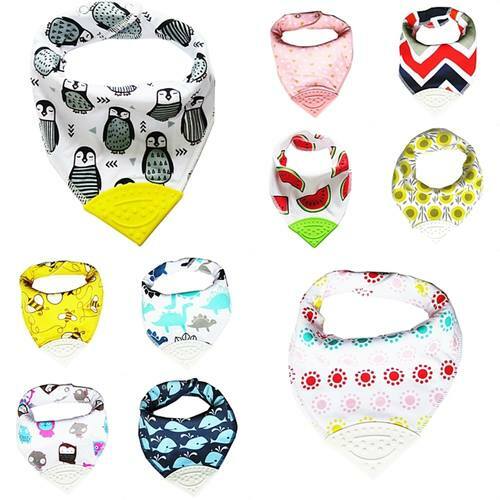 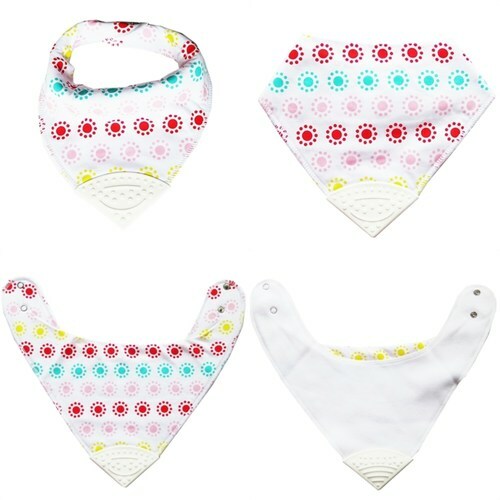 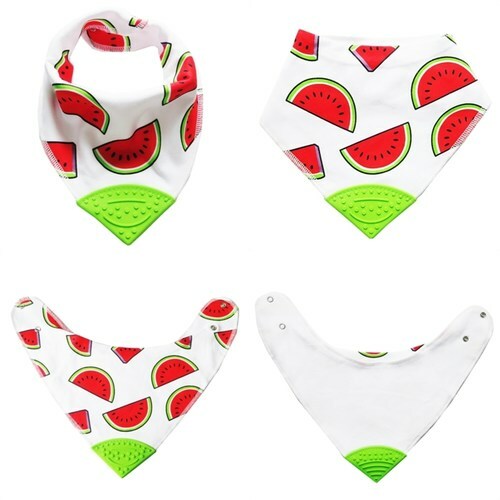 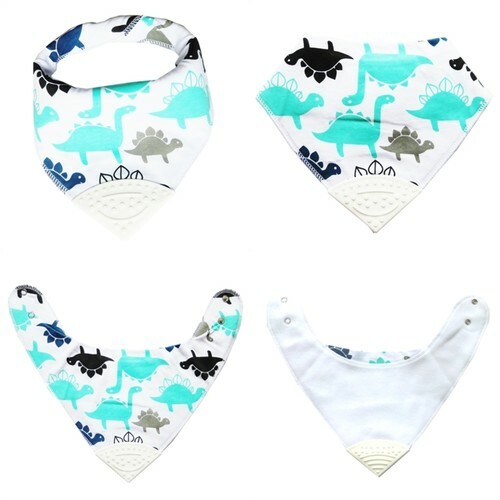 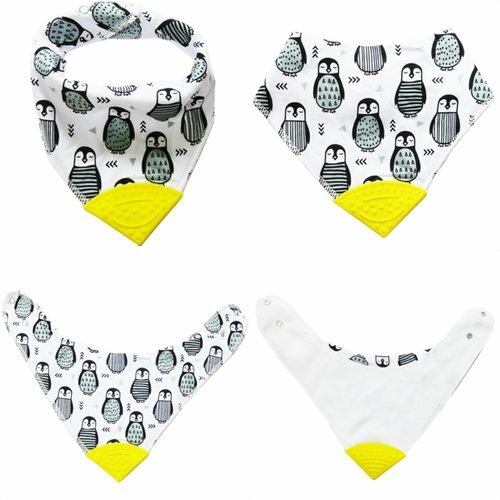 Teething part: BPA-Free soft silicone teether attached on the tip of the bandana, easy for grab and chew, we know this what a baby loves, and we know what parent wants - no more worry about dropping teether in the dirt. 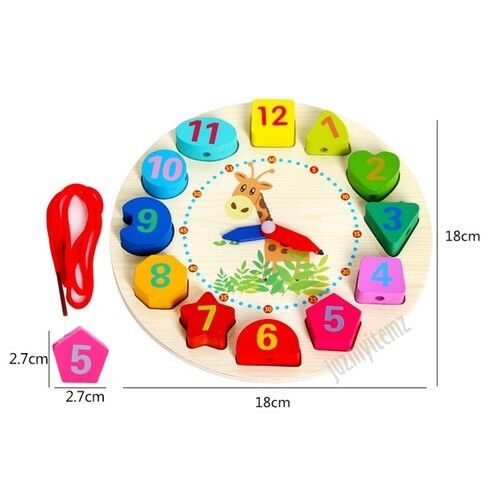 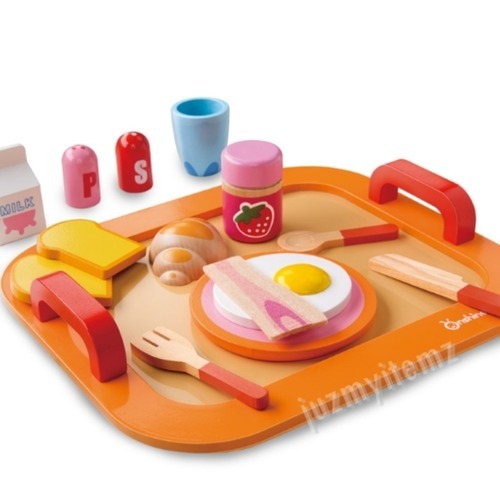 Two adjustable snaps make it suitable for all age infants and toddlers. 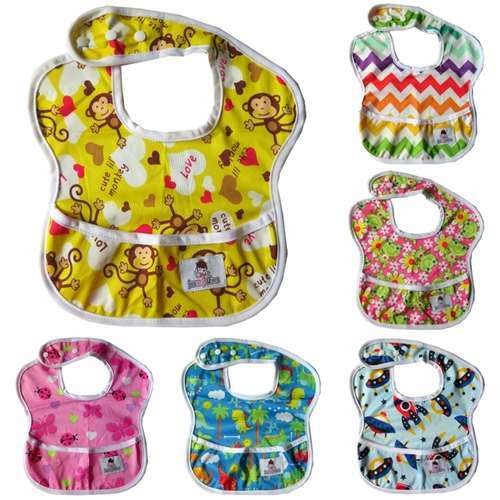 These bibs come with two nickel-free snaps in the back to fit the child as they grow.